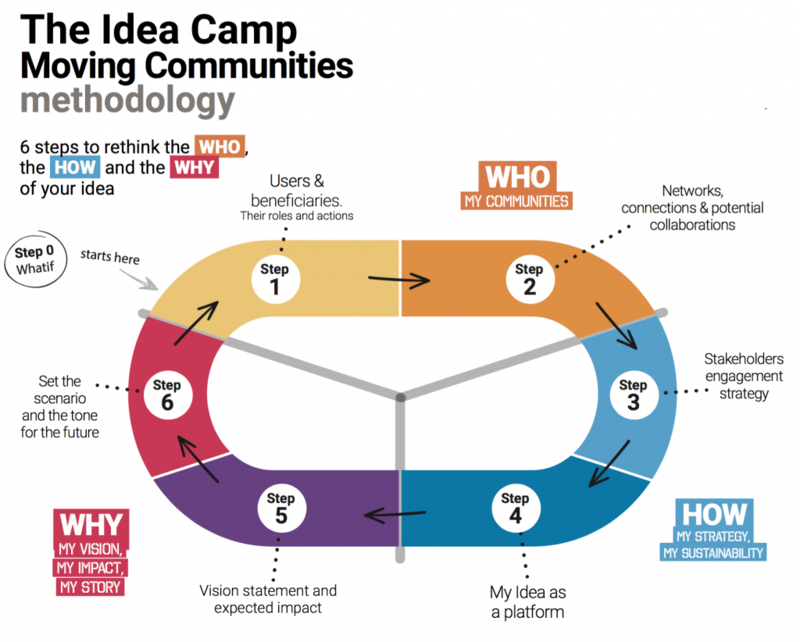 Idea Makers will work on their ideas, based on the methodology developed by Platoniq. The sessions will be moderated by the Idea Feeders and Facilitators, who will offer feedback on their ideas. Enabling participants to bring their ideas forward with an understanding of where their greatest opportunities and gaps are and expand on how their own projects can have a positive impact on their communities. The Idea development methodology is divided in 6 Steps, each of them being facilitated by 1 Feeder + 1-2 Hubs representatives. Each Feeder has been assigned a step.